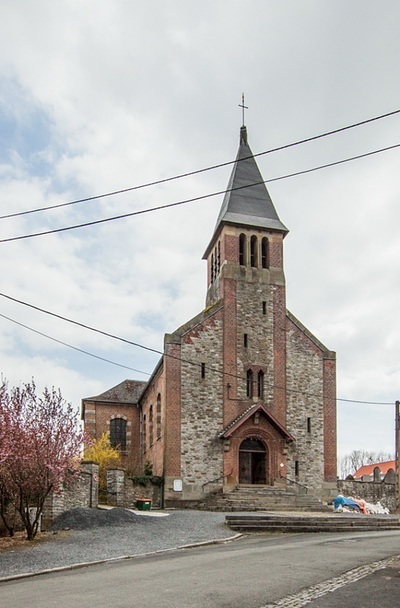 Chercq is 3 kilometres south of Tournai on the N502, a road leading from Tournai to Chercq. On reaching Chercq the churchyard is located immediately after the right hand turning from the rue de Calonne (N502) onto the rue de l'eglise. The war graves of the 1939-1945 War lie on the northern side of the church adjacent to the six graves of the 1914-1918 War. 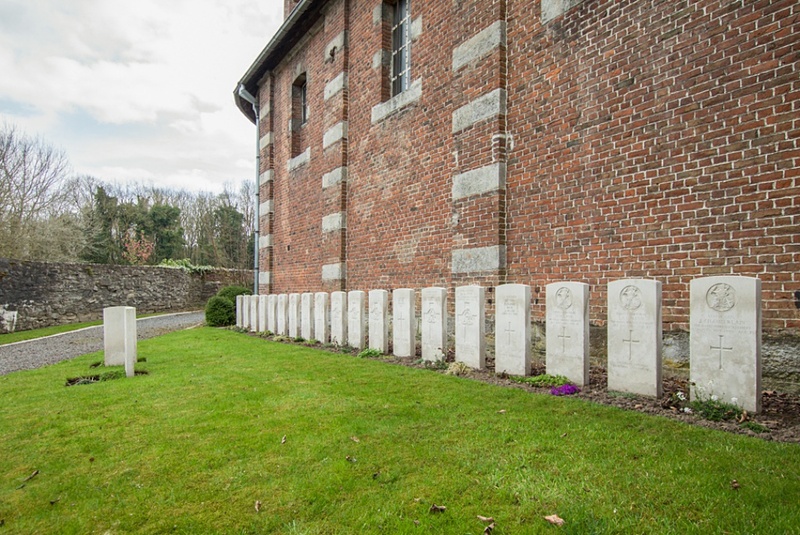 Chercq churchyard is an open site and has no restriction on opening times. 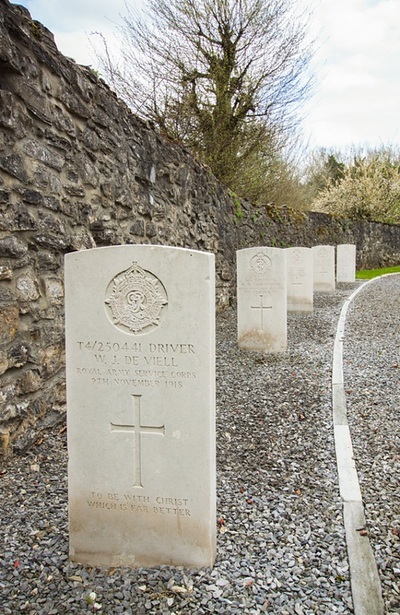 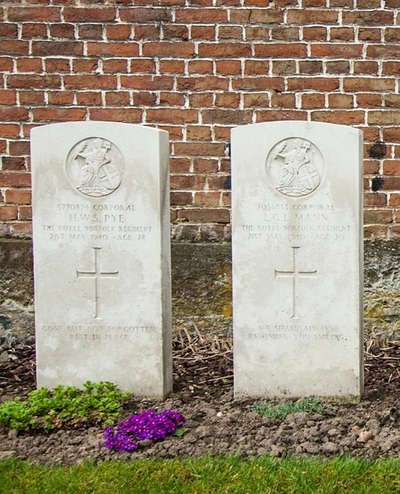 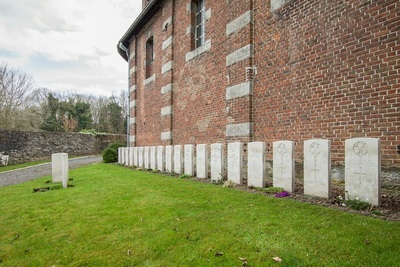 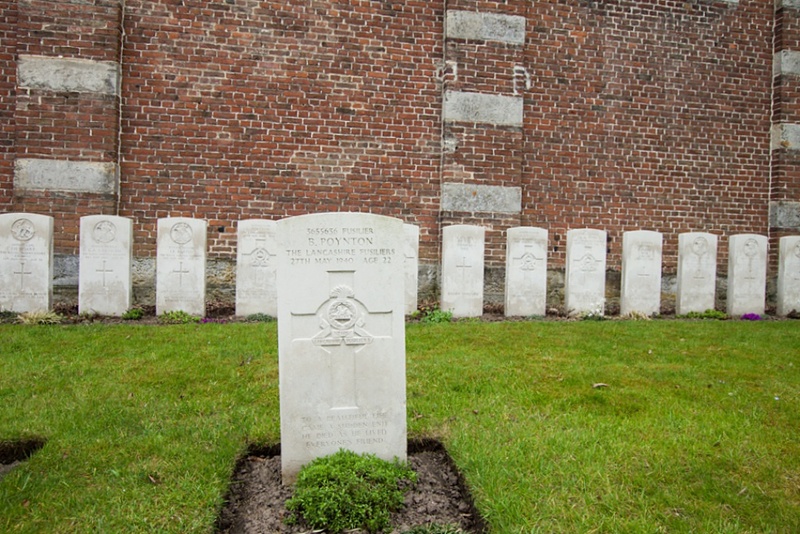 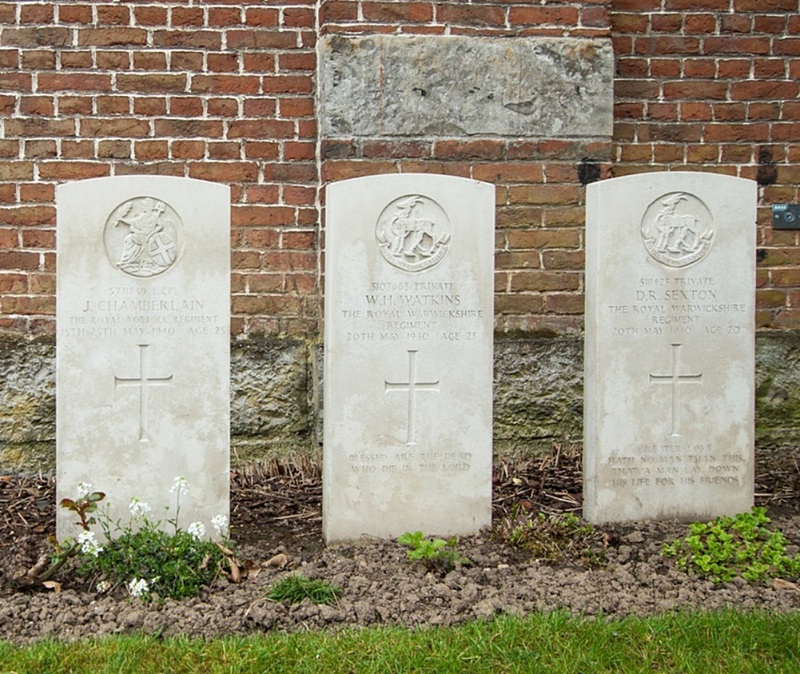 The 24 Commonwealth casualties of the Second World War buried at Chercq Churchyard died in the defence of the line of the Scheldt during the few days following 19 May 1940. Two of them are unidentified. 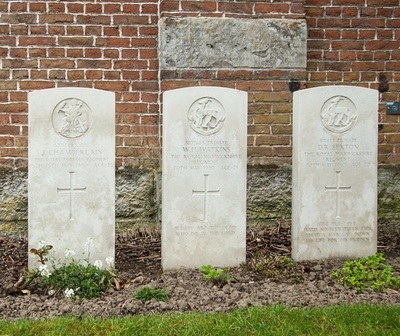 The churchyard also contains six burials of the First World War.